About Us: Cement Manufacturer & Suppliers in India - Wonder Cement Ltd.
Wonder Cement is a cutting-edge cement manufacturing company with an ambition to establish itself as a leading player in the industry. Enriched with the heritage of R.K. Marble, a leading name in the marble industry, our corporate culture is built on the values of quality, trust and transparency. An emphasis on technological superiority enables us to differentiate our offering through impeccable quality and effective communication. With an extensive network of dealers & retailers, we own a position in the premium segment of the market. Our cement plant, located in Nimbahera, District Chittorgarh, in Rajasthan, has a capacity to produce 6.75 Million Tons per year. The state of the art manufacturing unit was established in technical collaboration with ThyssenKrupp and Pfeiffer Ltd. of Germany, the world leaders in cement technology, and it produces cement at par with international standards. Special effort was taken to ensure that the plant upholds the latest environmental norms and with the help of a reverse air bag house, ESP and a number of nuisance bag filters, the plant remains clean & dust free. And with the launch of our first grinding unit is Maharashtra having a capacity of 2 million tonnes annually, our current capacity increased to 8.75 MTPA. The civil work for our third clinker production unit is in full swing which is expected to commissioned in Mid-2019. This will increase our Production capacity to 11 MTPA. Thank you for being a part of Wonder Cement! Wonder Cement came into being with a dream to build a better place for the youth, their families and the nation at large. Not only did we dream of being one of India's top cement manufacturer, but transformed this dream into a reality by setting up one of the first fully-automated plants in India. We have invested in state-of-the-art German technology and were one of the first to introduce new standards of quality control. Cement is the foundation upon which we construct our lives, our homes, our schools, our roads and our societies. Our structures will not only serve the generations of tomorrow, but will also carry our legacy as they stand the test of time. We have come a long way and have always strived to blur the thin line between dreams and realities. Today, Wonder cement's parent company, R K Marble, is a thriving brand in India. Since dreams and possibilities arise with every new beginning, Wonder Cement's promise to you is Ek Perfect Shuruaat. I would like to extend my gratitude to all employees, customers, suppliers, financial institutions, advisors and other stakeholders, for their dedication and undying support. Our central focus is and will always be to create value for our stakeholders. As long as we are committed to providing best quality of product and services, I am sure we will continue to be India's most respected cement producing company. 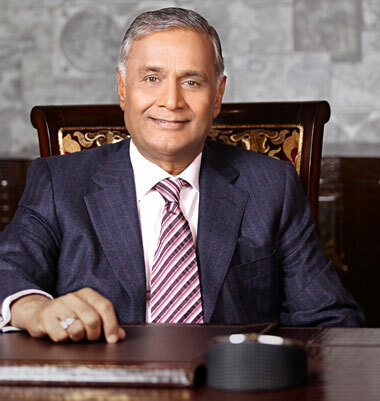 The journey of Mr. Ashok Patni, chairman emeritus of R.K. Group, is a narration of deep values, ambition and success. From his native place in Kishangarh, with the legacy of a family-run wholesale business in grains, his quest began with a dream for a larger canvas. 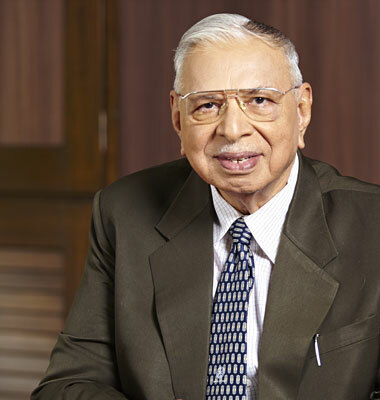 Mr. Patni set up R.K. Marble in May 1989 with a clear vision and objective to establish the nascent company as a major player in the national and international market. Today, the company employs the latest mining technology, has expanded production abroad and holds the title of the largest marble producer from the Guinness Book of World Records. Currently he serves a pivotal role in the diversified business of cement, where he has imprinted his trademark of honesty, integrity, transparency and quality. Under his leadership, Wonder Cement has already acquired the distinction of being the best quality cement in the country, certified and buttressed by numerous independent agencies, dealers and end-users. For Mr. Patni, work is a passion - a hobby practiced and pursued from his early calls at the factory. He has a profound love for nature and is highly passionate about development of greenery and plantation. His strong commitment to society has been the driving force behind the extensive welfare and social programs undertaken by the company, which go above and beyond the mandatory corporate social responsibility. 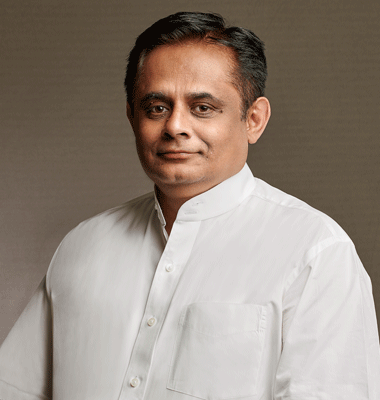 His determination, his leadership and his compassion are qualities that make Mr. Ashok Patni a true visionary. In the years to come, his influence will be of paramount importance to the success of the company as he continues to build the dream that began his career. Always keen on adding value to his family business, Mr. Vimal Patni took charge to diversify into production of cement. 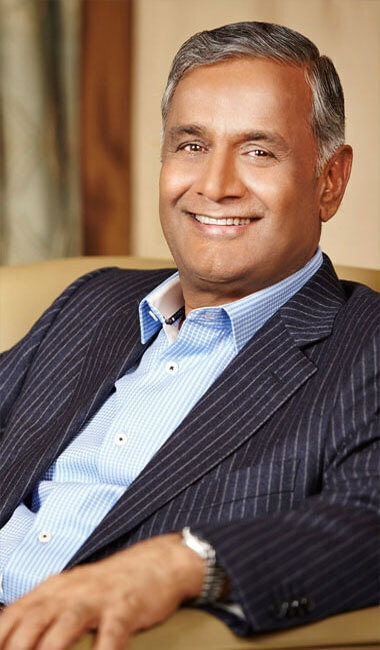 He gave a resounding start to his maiden venture by creating a brand associated with the company's philosophy of quality, trust and transparency. 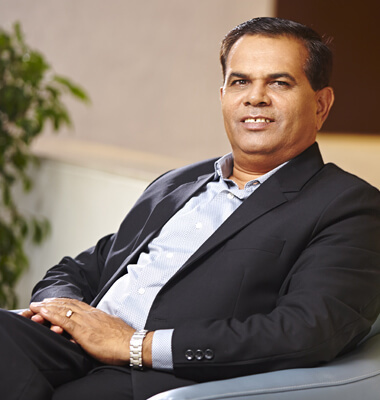 Mr. Patni, now in his late 40's, exudes full confidence about the company's future based on the pace of growth in expanding its capacities. Shortly after winning a government bid for the mining of limestone in Nimbahera, Mr. Patni began a consulting process with some of the foremost and acknowledged leaders in the cement industry, also consulting Ernst & Young before finalizing the factory blueprint. He worked overtime from the foundation of the factory until the point of production, resulting into creation of the huge infrastructure spread over 1050 hectare (mines and factory) in an industry record for any greenfield plant. A go-getter, he learned the nuances of the cement trade in a very short span and is now at the helm of every activity. The creation of additional jobs for the youths had always been his motto and the present endeavor is geared to fulfilling that objective. Mr. Patni has sought to imbibe the best corporate practices at the factory - promoting a clean and green environment and fostering a work culture comparable to the best in the industry. While he cherishes traveling and exploring various countries, he finds greater peace and satisfaction by giving back to our own society through thoughtful philanthropic activities. After successfully completing his graduation in Economics & Management from the Cardiff University, UK, he joined the accounting firm, Price Waterhouse Cooper, where he learnt and built for himself a foundation of good corporate governance. Mr. Vikas Patni always had an inclination of joining the family business and taking it forward to new heights. When he did, he brought about a directional change by shifting R.K. Marble's policy of only processing marble from it's own mines to importing of marble, thus becoming one of the largest suppliers of imported marble in India. He was instrumental in creating a footprint for the company in Turkey by acquiring mines and establishing R.K. Marble on firm footing in international markets. He firmly believes in honesty and hard work, an integral part of the continued success of the R.K. Group. He foresees Wonder Cement as a leading cement company based on the growth momentum it has achieved in a brief span of three years. His international exposure combined with his ethics of corporate governance will provide fresh insight on attaining the highest standards in the cement business. He is an avid traveller and loves exploring exotic locations in particular, whenever he finds time from work. Octogenarian, Mr. Ali, has set up 21 large projects during his chequered career spanning nearly six decades. He exudes a passion to build projects and share his knowledge with others. 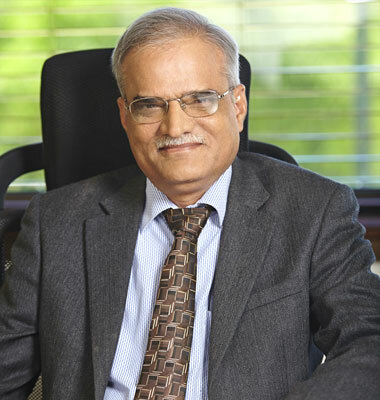 He has been associated with formulating, planning, implementation and commissioning of projects with Hindustan Zinc Limited and Binani Industries Limited. He is a fatherly figure in the cement industry as persons who worked under him as supervisors are today CEOs of large conglomerates supplying capital goods and services to the cement industry. What had started with a simple official visit by senior members of Wonder Cement to his residence in 2009 for enlisting his support for the company has now cemented into strong ties between him and the promoters in pushing Wonder Cement on a high growth trajectory. His presence on the board gave Wonder Cement immediate trust amongst suppliers and vendors in gaining the best of the terms of supply. Mr. Ibrahim Ali has an abiding interest in creating a futuristic cement plant for the company that integrates best available technology of the world with the company's overriding concern for good corporate governance. Mr. Ali has a deep religious bent of mind that has taken him on pilgrimages to places of worships of all faiths and religion. A globetrotter as well, Mr. Ali has travelled to different destinations from highly urban centres to the lap of pristine nature. Afresh from BITS - Pilani and amidst the euphoric moments within his first assignment in the cement industry, little did the Mechanical Engineer in Mr. Jagdish Chandra Toshniwal realize that he would go on to shape and strategize its diverse facets. Epitomizing the nonpareil within the cement industry, Wonder Cement looks ahead to Mr. Toshniwal helming it to illustrious heights of excellence. From a petite stint in Udaipur cement in 1975 to the Country & Managing Director of Wonder cement, Mr. Toshniwal has endured with intensity. He spent considerable years at Ambuja Cements, wherein he was entrusted with challenging leadership positions, culminating with his assignment as the Business Head for North Region, where his responsibility extended to operations, marketing and channelizing growth. Today, Mr. Toshniwal strategizes the operations, marketing and future business plans of Wonder Cement, aimed at consolidating and placing the company on a firm growth trajectory much ahead of competitor perceptions. He brings with him nearly 40 years of experience in the profession, born of his passion for hard work and a steadfast association with the cement industry. Besides work, he finds solace in music and exploring exotic places of the world in his free time. 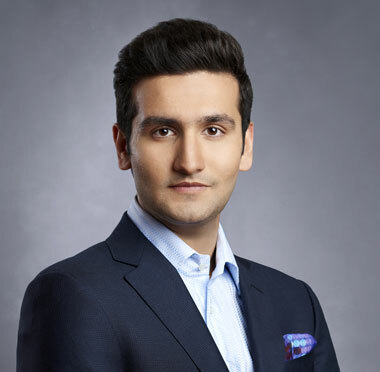 Mr. Vivek Patni inherits the glorious business legacy from his renowned family members belonging to the house of Patnis. He is the eldest son of Mr. Vimal Patni and his ambitions for the company are no less illustrious than his father's. After completing his schooling in Udaipur, he traveled to the UK for higher studies. Upon returning to India, he earned a further degree in commerce in preparation for his upcoming plunge in the highly competitive cement industry. 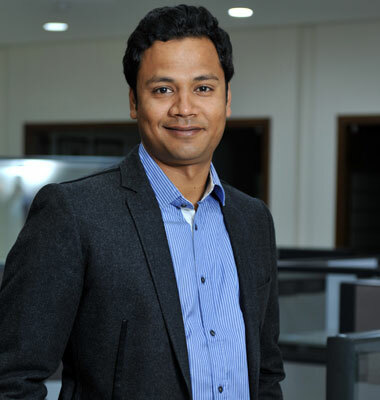 Now in his early 20s, Vivek evinces keen interest in all the corporate affairs of the company and plays a pivotal part in all the key policy making decisions. A keen observer with an analytical mind, he spearheads the branding, communications, and marketing, which he has identified as a thrust area for the company. He received the ‘Shaan – e – Rajasthan’ by Zee Media and the ‘Emerging Leader’ award at ‘World Today Business Conclave – IUA-The New Superpower’ by URS Asia One, at Abu Dhabi for his outstanding contribution in taking the company to new heights. He is an avid sports enthusiast with a special inclination for cricket and always stands at the forefront in Wonder Cement's sports building initiatives. His passion and dedication will prove as guiding forces in achieving his aspiration to make Wonder Cement into a leading global brand. Mr. Parmanand Patidar has been deeply involved with the R. K. Group since its early days in 1991, having been instrumental in expanding the production of marbles as well as in the establishment of the cement business. His more than 20 years of association with the group comes from his passion for building the necessary structure needed for running general administration and creating a team that can deliver. In R K Marble, he had pioneered mining operations hand in hand with Patni Brothers, whether it be in Morwad or Majoli or Banswara. He was also vested with the responsibility of liaisoning with different stakeholders - a task which he had performed with great finesse and accuracy. Smooth running of the administration being the essence of his working style, he insists always in solving problems, even intricate ones. Mr. Patidar exhibits a unique blend of desire and drive in completing a project. Now in his early fifties, has the satisfaction of seeing Wonder Cement having achieved a growth faster than it was expected. His expertise lies in matters related to leasing, land acquisition, solving legal matters and even local disputes. He is the trouble shooter of the Group. Mr. Patidar is a man in a hurry, always imbued with a spirit of work, done perfectly and handed over to the team. He then earnestly looks forward to a new project. It gives him immense pleasure and satisfaction in the execution of any new project-its various challenges and crafting a strategy to overcome them. For him work never stops but whenever he can take out time, he likes to use it to spend most it with his family and explore new places around the world. Being one of the youngest CA in the country at the time, Mr Sailesh Mohta had to wait 6 months to get his CA Membership. That did not stop him from scaling to the heights he has reached today. With over 30 years of experience in the cement industry, his experience is not only immensely valuable but also insightful. Not only does he come with a strong academic background, extensive management experience but he also strongly believes in team work. Prior to this, Mr. Mohta was the Head of Marketing of a leading cement brand, and had a fruitful stint. He's persistent, believes in bringing out the best in others and is extremely sharp and focused. He's also a family man. His family comprises of his wife, and two children. In his leisure time he enjoys maintaining an active lifestyle and enjoys hitting the gym, swimming and other activities. He believes in living a balanced life, and truly brings a level of sportsmanship to his work, that defines his entrepreneurial skills. 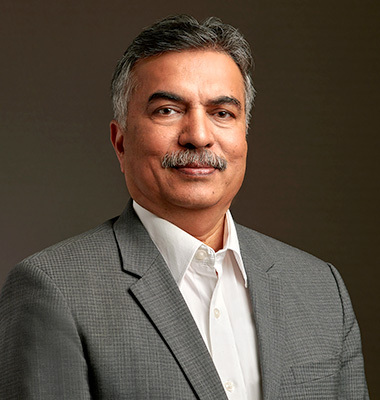 Mr. Joshi carries with him the comprehensive strength of his three decade experience as a technical head across the cement industry in India, leading the way in that domain with companies like JK Cement, Aditya Birla Group (Cement Division) and Vikram Cement. Hailing from Jhalawar, Rajasthan, he started his career in cement industry straight away after his graduation in Mechanical Engineering from Malviya Regional Engineering College. Mr. Joshi has been associated with Wonder Cement since its inception, overseeing the overall functions of the plant - planning, monitoring, coordinating and organizing unit operations. Evidence of his technical capabilities is evident in the record time in which he set up Wonder Cement's Line-one greenfield plant. He now handles the dual responsibility of looking after Line-one as well as the expansion of Line-two. Mr. Joshi has been a strategist since schooldays, which is also reflected in his passion for playing chess. 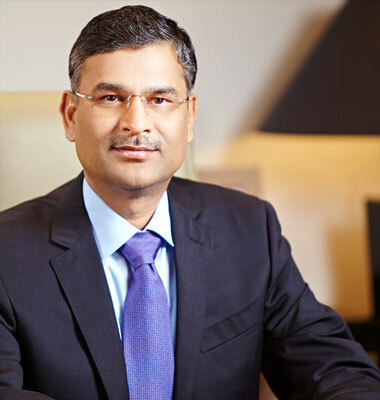 At Wonder Cement, he visualizes a three-fold increase in the plant capacity by various technical enhancements to attain a majority market share in key markets. Mr. Ravindra Singh Mohnot is a leading practicing Chartered Accountant with expertise in almost all the sectors of financial and management services. 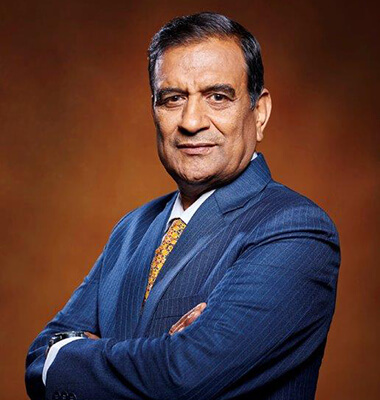 Associated with R.K. Group since its inception in 1989, in 2010, R.K. Group approached Mr. Mohnot with the challenge of venturing into the cement industry - a completely unknown and unchartered territory for the Patni brothers. Being a part of their think tank played an important role in the successful installation of the plant in a record time and the unique successful branding in a short span. Today, the Nimbahera Greenfield cement plant has a capacity of 6.75 million tons per annum and its growth in such a short span of time is testament to Mr. Mohnot's vision and guidance. Mr. Mohnot is also the partner of R Mohnot & Co., the sole firm in Rajasthan that specializes in operations such as establishing new ventures, raising finances, advising on financial structure and tendering legal advice. His personal expertise includes joint venture agreements, shareholder agreements, feasibility studies and market surveys. Mr. Mohnot, now in his late fifties, incorporated R K Marble in 1989, arranged the funding needs for its various business activities from banks and financial institutions. His vision of corporatizing marble industry as a whole and R K Marble in particular bore fruition when the company earned a place in Guinness book of world records as the highest producing marble industry in the world. Mr. Tarun Chauhan is a man of many talents, having lead a career spanning from cricketer to advertising professional. At the young age of 18, Tarun Singh Chauhan showed remarkable self assurance on the cricketing field, but he was someone with a marked difference - trading the bat and ball for a career in advertising. After associating with some of the world's best agencies, he was nominated as President of Lowe after being with the company for nearly 10 years. 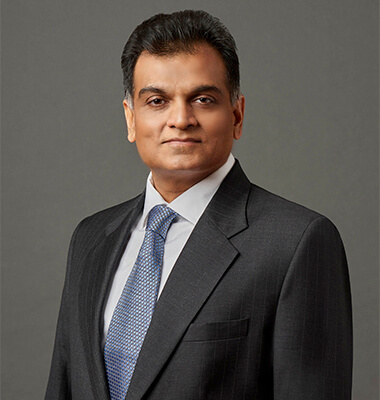 However, Chauhan thought the job was getting too comfortable and less challenging, so from a senior manager in JWT in the late 1990's, he returned to JWT as Managing Partner. Recently, with the launch of TSC Consulting, he aims to build a reservoir of the best management talent that will help companies, brands and Governments win. As an advisor to Wonder Cement, his main focus is on making Wonder Cement the most preferred brand in the cement category. He is meticulously involved in the process of building the brand Wonder Cement and wants to leave no stone unturned to achieve his vision of making Wonder Cement one of the most respected brands in the country. For a man who has worn many hats and is always pressed for time, he still religiously and regularly makes way for following his hobbies and doing what the heart wants. He is fond of growing his own food, spending time at his country home harvesting paddy, running a dairy, breeding goats, and working with and riding on his pet horses. While success changes some people, few have the grounding to remain on track. Tarun Chauhan is surely one among the few! RK Marble is the world’s largest marble producing company which has built a legacy of unmatched quality since 1989, and is today recognised across the globe as a leading processor/producer of exquisite marble. RK Marble, has been at the forefront of quality right from its inception and its vision has always been to adorn spaces with grandeur, finesse & unmatched quality. Through the use of state-of-the-art cutting edge technology, we consistently bring the largest volumes of the finest marble to the world. Catering to the needs of each and every individual, we deliver a wide spectrum of products, backed by a plethora of services at price points accessible by every buyer. Wonder Home Finance Ltd. is a NHB-registered housing finance company based out of Rajasthan. It was incorporated with a view to provide finance through home loans and business MSME loans, keeping in mind the Pradhan Mantri Awas Yojana (PMAY) to provide finance to lower and middle-class segment of the society in semi-urban and rural areas. At Wonder Home Finance, we aim to deliver the highest quality products & services to our customers through proven professionals, best-in-class technology and customer friendly processes. We act transparently, ensuring that our customers have all the information they need for each decision they make and we aim to celebrate this important journey with our customers by hand holding them every step of the way, while keeping things absolutely simple.